Carbine Studios today released an action packed new trailer showcasing the epic 40v40 PvP in the upcoming MMORPG, WildStar. In true WildStar fashion. The WildStar community has been treated to a collection of hilarious videos since the game was first announced and this latest trailer offers the same quality as those before. The new video showcases one of the games most anticipated features, the massive 40v40 PvP features in Warplots. The Warplot feature is an Elder Game system (level 50) that sees PvP combined with strategy, competitive combat and team play. Players can gather their allies and pimp out their own Warplot with a variety of powerful goodies including orbital strikes, plasma cannons, mines, teleporters, rocket launchers and much, much more. Many Warplot items can also be obtained through dungeon rewards. There are two potential methods for victory in WildStar’s Warplots feature and every battle will earn currency for you and your allies which can then be used to purchase additional upgrades and plugs. Additional details on these features will be announced in the next DevSpeak video scheduled to arrive next week. The video goes into detail in regards to the organizing of a Warplot party, the purchasing and decoration of Warplots, combat preparations and the ability to harvest resources in-between battles. 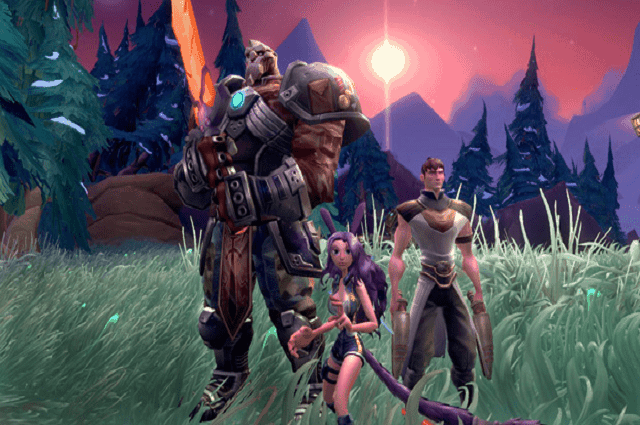 Carbine Studios also had some exciting news this past PAX East 2014, revealing that WildStar has gone gold and pre-orders can be purchased on the official website.